A key step in understanding critical social problems affecting Pacific peoples in NZ is the influence of values in shaping behaviour. This is because most intractable social problems are often interwoven with issues of values and unless these are identified and understood, development of responses or mitigating strategies are bound to fail costing governments money. The challenge therefore lay in designing conceptual tools that can assist thinking about social problems and to what extent Pacific values may be influencing behaviour. For major social problems in Pacific communities a useful tool to assist in diagnosing and mapping key influences and relationships is a Conceptual Framework. Frameworks are well recognised tools that can provide a systematic and rigorous way of thinking about an area of interest, promote comparability across data collections and between sectors. A conceptual framework can assist map the environment surrounding an area of interest as each identified element can represent a specific area about which information is required. Additionally, such a framework defines the scope of enquiry, marks out important concepts, and organises these into a logical structure showing the key relationships, processes and flows that exist. Successful frameworks are logical in structure, comprehensive but also concise, dynamic and flexible enough to allow for change taking into account other frameworks. A framework I was involved in developing in the late 1990s was the "Pacific Analysis Framework" (PAF). It is a tool for structuring and analysing policy problems from a Pacific perspective. The framework was closely aligned to the generic policy analysis steps but incorporating a "Pacific Values" element in each of the analysis steps. 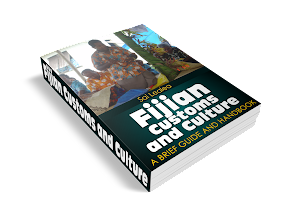 A companion element of the Framework was the "Consultation Guideline" - a guide on how to consult Pacific communities in developing policies and programmes. Training was provided to government agencies on the Framework and Guideline and it proved very popular and effective in including Pacific perspectives into the policy analysis phase of the public policy development process. For major social problems confronting Pacific peoples in NZ, a conceptual framework also allows for the consideration of values as a key element influencing those problems. The above framework was developed as part of the Australian government work in understanding Family and Domestic Violence and for the purpose of capturing data requirements. "Transforming whanau violence : a conceptual framework : an updated version of the report from the former Second Maori Taskforce on Whanau Violence"
proposed a framework for addressing whanau/family violence based on Maori principles, and discusses how these concepts may be implemented in practice. Colonisation, with its assumption of cultural superiority, is identified as contributing to the incidence of violence amongst Maori families. This report updated the 2002 document from the former Second Maori Taskforce on Whanau Violence. The authors argued that models of practice should be designed by Maori, for Maori, and not dictated by government policy and legislation, or based upon Pakeha conceptual frameworks. Recommendations included a collective approach to violence intervention strategies involving all members of the whanau, and a plan of action for implementing programmes based upon Maori values and principles. "This conceptual framework has been developed from the comprehensive and successful experience of Mäori practitioners working in the field of whänau violence. These practitioners identified, discussed and agreed upon the particular characteristics of their practices that have potential to constructively transform violence within whänau, hapü and iwi into behaviours that enhance mauri ora (well-being). The imperatives of effective practice for the prevention of Mäori whänau violence are taken from practice and advocated in a non-prescriptive way that permits the localisation of responses to violence based on particular whänau, hapü and iwi processes. The imperatives that make up the conceptual framework are the minimum practice requirements for the prevention of whänau violence. This Mäori conceptual framework assumes the impacts of colonisation as central to the normalisation of whänau violence. This results from the destruction and distortion of whakapapa, tikanga, wairua, tapu, mauri and mana as one consequence of colonisation. The framework advocates for the development of Mäori therapeutic models that change the way that whänau violence is understood and managed. Very little has worked to stem the tide of whänau violence using mainstream approaches. We must address this issue from the position of a real and practical understanding of the cultural-political impulses which impel Mäori to act." While the above examples outline elements that would also be relevant and applicable in thinking about family violence in Pacific communities, as for Maori, the inclusion of a "Values Element" for each section or area would be critical. This values element would include consideration of concepts and principles such as family, religion, respect, honour, reciprocity, ownership etc.. and how these may influence relationships, processes and behaviour of those involved in family violence. Understanding these key Pacific values and concepts will in turn enable responses and mitigating strategies and programmes to be developed that specifically targets Pacific peoples caught up in family violence.